We provide task force service for DRM. Young, energetic & result oriented firm & allied services, committed to maintain the standards of quality service and train civilians in industrial security who are highly committed and dedicated to do their assignment without slackness. We are packaged and equipped enough to deliver excellent security services where and when required. This three day intensive course enables the participants to develop the necessary expertise to support an organization in implementing, maintaining and managing an ongoing Information and Communications Technology Disaster Recovery plan according to ISO 24762. Participants will also gain a thorough understanding of best practices described by this International Standard. 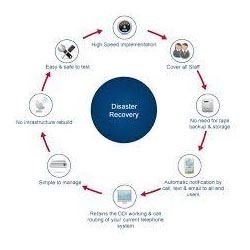 Disaster recovery is the process, policies and procedures related to preparing for recovery or continuation of technology infrastructure critical to an organization after a natural or human-induced disaster. 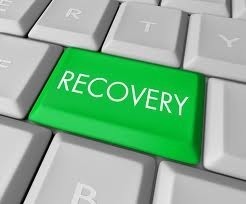 Disaster recovery is a subset of business continuity. Disaster always seems to strike when we are least prepared, be it due to a crashed hard disk or any natural calamities. An organization needs to have a continuity plan in place that works, allowing access to all business critical data and application; no matter how worst you are hit. Every organisation should have a backup plan to recover, in the event of a major disaster. We plan and implement disaster recovery process for institutions, in order to resume business at the earliest possible, after a major disaster. Disaster Recovery Management, Tape Library Management. How much down time can your company afford Have you ever calculated the revenue lost due to unavailability of the IT systems Loss due to idle man hours and cost of lost opportunity The figures can be scary. GIS application development for natural hazard loss estimation, analysis for disaster planning and disaster loss mitigation, emergency preparedness, and response and recovery.